Robbers attacked a man in a shop in St James Road. Pupils from two Luton senior schools have been robbed by gangs this week, with two incidents happening at knifepoint. Cardinal Newman Catholic School issued a message to parents about two robberies which took place after school on Monday. “One incident took place near the Black Swan Pub, the other near Leagrave Park. Both students had phones, watches and money stolen. The police are currently investigating both incidents. Today, Icknield High School reported that four pupils had been robbed of their mobile phones by a gang yesterday (Tuesday). Headteacher Mr Noble told parents: “I am writing to inform you of a very concerning incident that occurred yesterday involving four of our students on their way home from school. “At approximately 5pm, four students were approached by a group of youths; not from Icknield High School, and threatened to hand over their mobile phones which were then taken. “The incident happened along Riddy Lane near to Icknield Primary School. We are asking all students to be extra vigilant at this time. 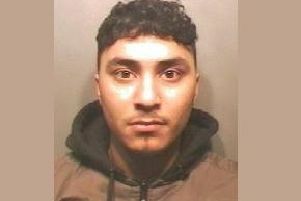 Bedfordshire Polcie stated: ““We are continuing to investigate two robberies in Luton. The first incident took place on Friday, 23 November in Icknield Way, next to Leagrave Park. “The victim was tackled to the ground by three offenders. One of them threatened the victim with a knife and stole an iPhone, watch and designer belt. The group then left through Leagrave Park. “The second incident took place on Monday (26 November) in Birdsfoot Lane. The victim was approached by two offenders, who threatened him with a knife and stole his phone.